A glittering cast of musical superstars adds an irresistible shine to the romantic story of one woman choosing between three men as her wedding day fast approaches. 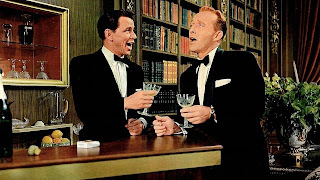 High Society is a classy romp, with a terrific score by Cole Porter providing the soundtrack for all the frolicking among the exorbitantly rich. 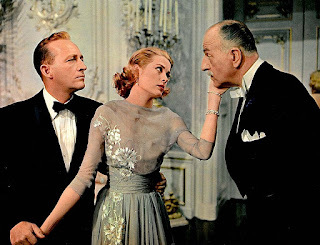 Tracy Samantha Lord (Grace Kelly), a member of the elites living in the mansions of Newport, Rhode Island, is about to get married to the dull George Kittredge (John Lund). Samantha's former husband, Dexter (Bing Crosby) is still hopeful of winning her back, and as a ruse to get close to the wedding arrangements, involves himself in local jazz festival preparations featuring Louis Armstrong (as himself) and his band. Meanwhile, Spy magazine wants to cover the celebrity wedding, and dispatches reporter Mike Connor (Frank Sinatra) and photographer Liz Imbrie (Celeste Holm) to get the story. Samantha initially wants nothing to do with neither Dexter nor Mike, but a lot will change before she walks down the aisle. With energetic, light hearted and catchy musical numbers like Who Wants To Be A Millionaire?, Well, Did You Evah! 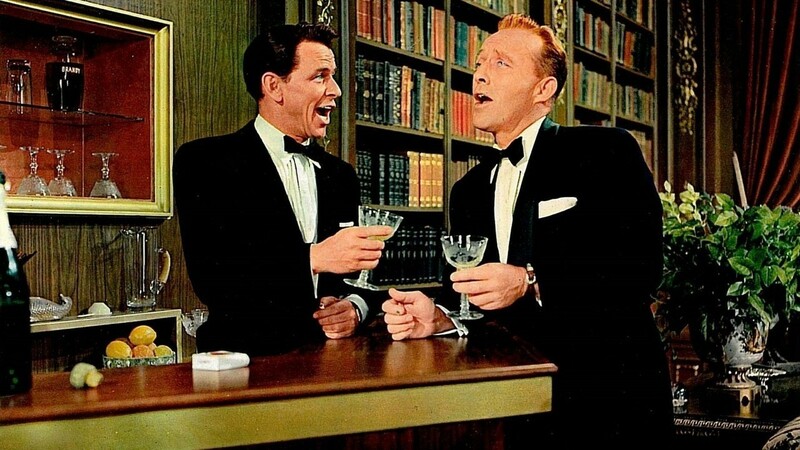 and Now You Has Jazz delivered with plenty of pizazz by Sinatra and Crosby, and Armstrong contributing his unique blend of hearty jazz, High Society celebrates the rich while lustily making fun of them. In her final movie, Kelly holds her own and in terms of acting dominates the movie, her performance a combination of comic passion and intentional exuberance. Samantha spends a large part of the movie's second half under the influence of a little too much alcohol, and Kelly pulls off the slightly drunken act with plenty of tantalizing verve. The John Patrick script, adapting The Philadelphia Story, strikes the right balance between humour, music and confused romance, High Society distinguished by solid pacing and a reasonably entangled, character-rich plot compared to most musicals. Director Charles Walters lets his stars shine, and stocks the movie with all things rich: massive mansions, glamorous gowns, and fashionable furniture are prominently on display in every frame, High Society filled to the brim with the champagne of life in the extravagant lane. Tracy Samantha Lord may not be quite sure who she is intending to marry, but she generates a whole lot of fun on the way to finding out.